If your family is renting a place to live, you may be throwing money away. Buying your first home using your 2017 tax refund might save you money, as your monthly payments may be less than what you are paying for rent. Additionally, a home is an excellent way to build your personal wealth, as a home is going to increase in value as the mortgage balance goes down. Now is a perfect time to buy your first home. 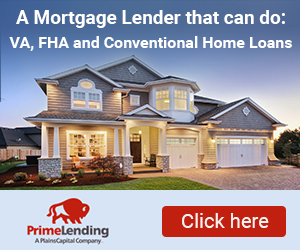 Interest rates are low and there are many homes in Florida providing excellent value. Therefore, you can afford more home for the money than in the past. Your real estate agent can help you decide on the size and style of home to meet your needs, help you find the perfect home for your family, and determine the best way to utilize your 2017 tax return; your 2017 tax return can be put to excellent use helping you make a $500 to $1,000 earnest money payment or down payment; pay for closing costs; or take care of paying for a home inspection, appraisal, etc. This article will not only explain the advantages of buying your first home using your tax return, but help you plan to do so. If the home you want is generating interest from others, you may wish to make a large deposit to convince the home seller yours is the best offer. Get your agent’s advice, but avoid making a deposit larger than 2% of the purchase price. It would be sad to miss out on your dream home because you do not have enough for an earnest money deposit. Making an earnest money payment with your tax refund should leave you enough to also use the remainder of your tax refund for other home purchase expenses. Using your tax refund as a down payment for a new home as several advantages. First, if you apply a larger down payment, your monthly payment is lower and your mortgage balance. Also, you may be able to qualify for a larger home. Using your tax refund as a down payment makes it possible to take advantage of programs available for first time home buyers in Florida, such as the FHA 3.5% down payment. Sapphire FHA Down Payment Assistance provides up to 4.5% in down payment assistance in all Florida Counties for FHA Loans for a 30-year fixed term mortgage. Your real estate agent can let you know other qualifiers for this program. Additionally, your real estate agent can find out if the county where the home you are considering is located has a special program for first time home buyers, as many Florida counties do. The amount of these fees varies depending, in some cases (as with attorney fees and survey) on the amount of time involved. However, they can be as much as $2,000, so it will help to have your tax refund to pay for your closing costs. Remember, it is not unusual to ask the seller to assume responsibility for some, or all, of the closing costs. Your real estate agent will be able to determine if the sellers may be open to doing so. If so, your tax refund can be used for the earnest money deposit and down payment. You want to make sure the home you purchase is as the seller describes in both its value and its condition. For this reason, you will want a professional appraisal, and a pest/WDO (Wood Destroying Organism) inspection. The average for a home inspection is around $300. If you are purchasing a small home or condo with less than 1,000 square feet, you may be able to pay as little as $200. However, a home over 2,000 square feet may run you $400 or more. It is a good idea to have radon and mold testing done as well, and it usually cost less if done at the time of the inspection. Additional inspections may be necessary in Florida, such as a drywall inspection. Some buyers also negotiate for a home warranty covering major appliances for a specified period after the sale, usually a year. An appraisal will be required by the mortgage broker or lender. This is to assess the value of the property so that the lender is comfortable loaning the money for buying the house. If the appraisal comes in lower than the price the seller is asking, the buyer can request a reduction in price. However, a set time is given for acceptance or rejection and the seller does not have to reduce the price. If the seller rejects the price for the set time lapses, the buyer can decide to not buy the house without any penalty. The lender may also require the purchase of homeowners’ insurance. The new home buyer can use a tax refund for the inspections, appraisal, and other fees necessary for approval of the home loan.